The Labeling machine is designed to deliver labels onto packages as neatly and efficiently as possible. Older labeling equipments used to dispense the label onto the operator who would then manually apply the label onto the product. There have been rapid developments in the labeling systems, with machines now able to dispense as well as apply the labels onto the equipment. In industry, labelers are part of a greater packing line, where they receive the package from another line apply label and feed product to the next stage of the line. The main technologies used in labeling machines include the pressure sensitive labeling machines, hot melt glue labelers and the wet glue labelers. The pressure sensitive labeling equipment is the most advanced of these systems and most popular technology for the labeling machines. There is reduced usage of glue in the machine and has longer life of the machine. With the current advances in technology, the label applicator machines and other packaging machinery can achieve a speed of over 200 labels per minute and even achieve an accuracy of less than one mm. 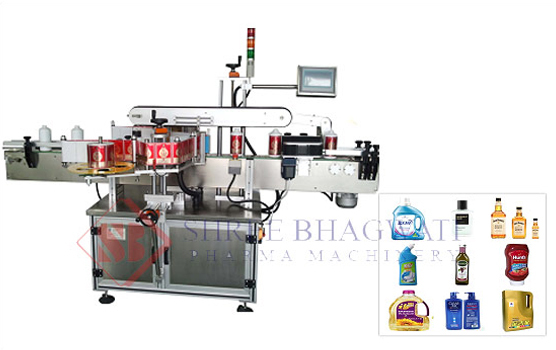 Most of the equipments have a brush mounted immediately after the peeling system, which serves to press the label onto the product after dispensing. The machine is also fitted with an encoder that server to align the label with the product and also control the speed of the conveyor. When the product passes through the designated product sensors, a signal is sent to the controllers which start counting the output pulses from the encoder. The controller also initiates the roller labeling head motor for the application process to begin. The applicator continues the process of labeling while the label sensor detects the gaps between the labels. If a gap is detected, the labeling head motor stops and the machine is ready for another product line. The wipe on label applicators operate using this advanced technology but they are actually simple to install and operate. The use of programmable logic control units has several advantages such as. The machine can apply more than one label at a time. In the induction sealing machine uses the induction coil to create a heating mechanism that melts the polymer on the inner side of the cap which then bonds to the bottle opening to create a tight and hermetic seal on the bottle. 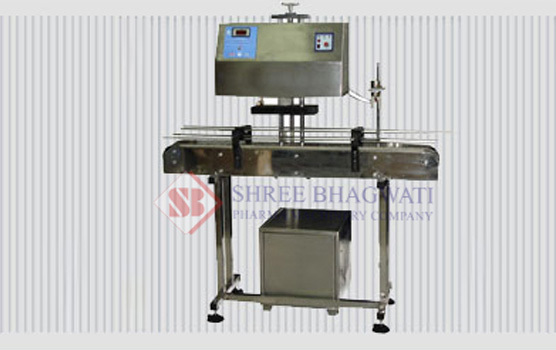 The jar induction cap sealing machine ensures complete sealing and freshness of the product packaged. The equipment is highly used in the beverage industry for total protection against pilferage. The machine is mild steel powder coated with an output of up to 30 bottles per minute production capacity. The jerry can induction cap sealing is also widely used in filling of free flowing food granules, food grains, pulses, sugar, tea, rice, seeds, chemicals and pesticides in various industries. There have been rapid developments in the labeling machines technologies. The primary technologies include the wet glue labeling, hot melt labelers and pressure sensitive labeling machines. All these development have contributed to better performance and productivity of packing lines.